Trash the Pairing. 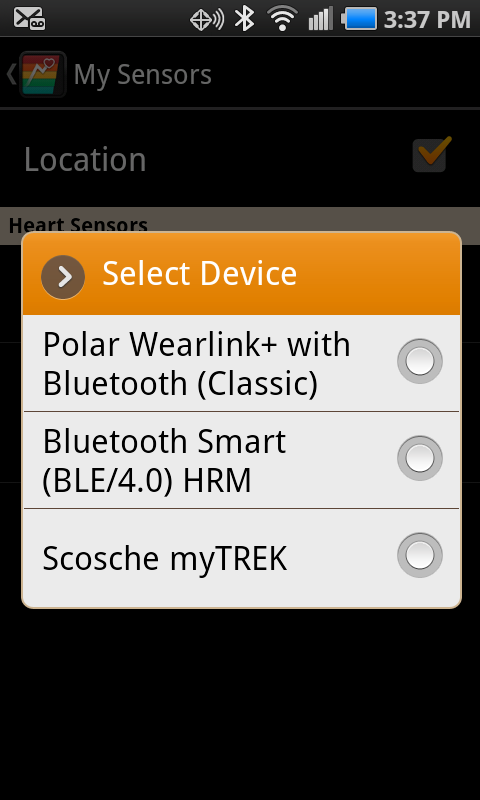 Go to Settings -> My Sensors -> Heart Rate Monitors -> Bluetooth Smart -> Details -> Delete. This step is only needed if the H7 is “ON”. Remove the battery from your Polar H7. Using a coin, open the battery cover by turning it counterclockwise to OPEN. Remove the cap. Using a sharp edge (knife), lift the battery out from inside the cap. Photo 3: Battery successfully extracted! Note: When removing the battery, make sure the sealing ring is not damaged, in which case you should replace it with a new one. You can purchase the sealing ring/battery kits at well-equipped Polar retailers and authorized Polar Services. Close the back of the peanut that used to house the battery, and clip it on to the belt, without the battery. If you are still unable to pair, please contact support. Polar H7 heart rate monitors are awesome. 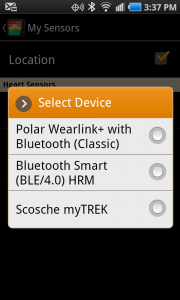 They run on bluetooth low energy, which for me is great because the fewer devices tracking my workout, the better! However, if you find it’s time to change the battery (you experience erratic heart rate data or drop outs or no data at all), here are your step-by-step instructions. Users rejoice–your inner handy-person awaits! 1. 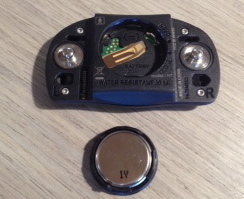 Using a coin, open the battery cover by turning it counterclockwise to OPEN. Remove the cap. 2. 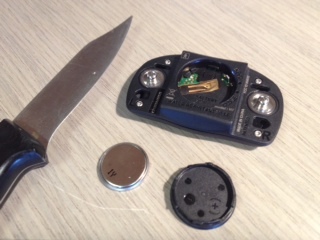 Using a sharp edge (knife), lift the battery out from inside the cap. See Photo 2. 3. Insert the battery (CR 2025) inside the cover with the positive side against the cover. Note: the positive side is also the side with the writing; insert the battery with writing side down. Make sure the sealing ring is in the groove to ensure water resistance. See Photo 1. 4. Place the cover back into the connector. Be sure to do this carefully by lining the arrow on the outside of the lid directly with the dot on the connector next to OPEN. 5. Use the coin to turn the cover clockwise to CLOSE. Note: When changing the battery, make sure the sealing ring is not damaged, in which case you should replace it with a new one. You can purchase the sealing ring/battery kits at well-equipped Polar retailers and authorized Polar Services. For more information about using the Polar H7, read the manual. If you are using an old-school Scosche Rhythm / myTrek using traditional bluetooth, Scosche stopped supporting them a while ago. 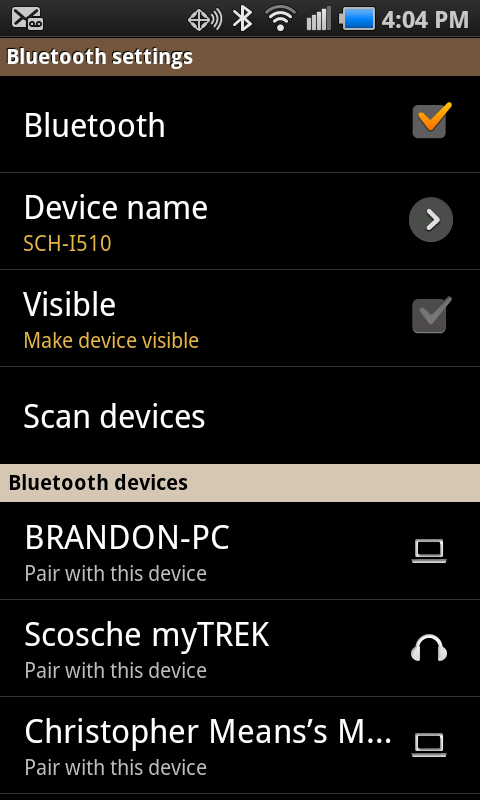 Since the bluetooth classic monitors have been discontinued by Scosche, the SDK has not been updated in order for the monitors to work on iOS 9 and Android OS 5. 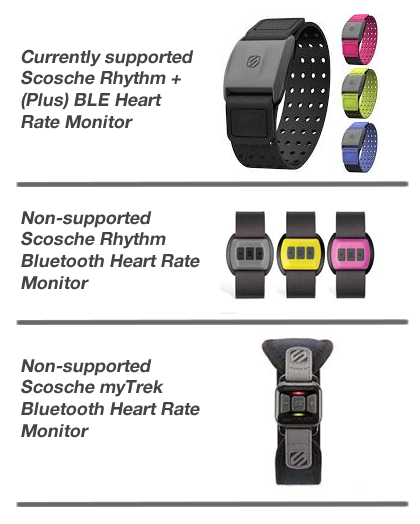 This meant we could no longer support Scosche’s MyTrek and Rhythm Pulse monitor. We sincerely apologize for the inconvenience, and please see below for options on Android and iOS devices. Once you have the file, you can uninstall the newer version of the app from your device, and copy the older APK file you found to the phone or tablet. If you tap on the links above on the device, it should install automatically. If not, copy the file to either a new folder, or the existing Download folder. Then, you’ll need to find the file on your Android device (with a File Explorer app or similar), at which point you can tap on it and install it. Note that you will need to tick the box somewhere in your device’s settings menu to allow the installation of apps from “unknown sources”. 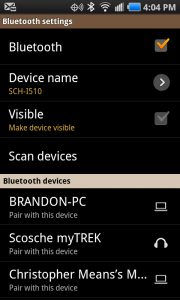 Most but not all Android devices have this option. For iOS users, there is only a limited time left to download a compatible app – as soon and the next release goes live in Apple iTunes it will no longer have support for these older heart rate monitors. iCardio no longer supports them, so you would have to download iRunner or iBiker, which are older versions. But remember not to allow automatic upgrades or the next update to those apps will no longer support the old app! The beginning of every great story has an introduction. Well Android users, prepare to be introduced to the device that will change your life, the Scosche Rhythm. Learn how to Pair your Scosche myTREK or Rhythm with Fitdigits on the Android, and re-write your life story to include a happier and healthier you! 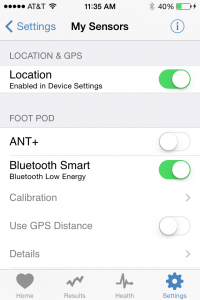 Next, turn on the Bluetooth settings in the iPhone and pair the Scosche sensor. 9. You will be taken back to the “Bluetooth devices” screen. Tap on Scosche and you are paired. Start a workout, and you are ready to take this relationship to a whole new level! Is Your Device Compatible: View our Compatible Devices for more details. Have you upgraded your app: You must have upgraded your app in order to use heart rate training and tracking features. Wet the Electrodes: Make sure the contact strips (electrodes) on either side of the heartbeat pod / transmitter are wet with water, saliva, or gel to increase connectivity. Clean your HRM: It is recommended to clean your HRM strap after every use. Rinse the strap under running water after every use and hang to dry. Clean the strap gently with a mild soap and water solution when needed. Do not use moisturizing soaps, because they can leave residue on the strap. Failure to do so will resort in inaccurate readings. 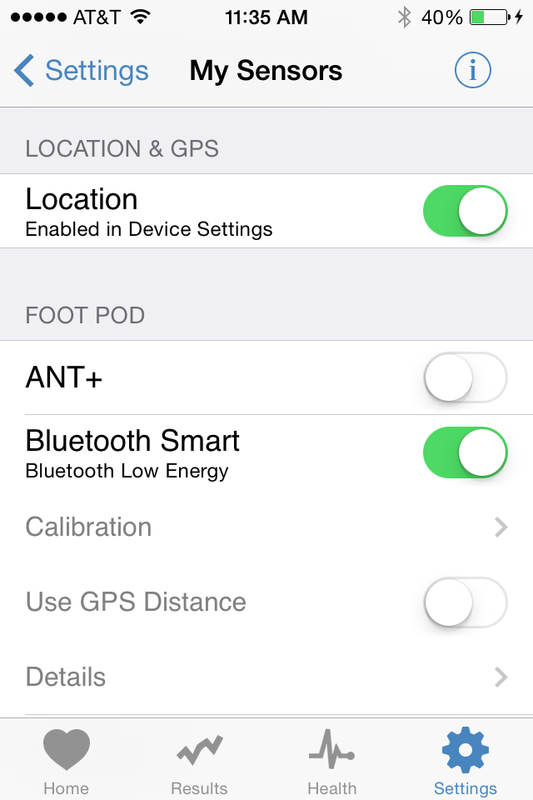 Reset Bluetooth: Try going to your Settings->Bluetooth, turn Bluetooth OFF, wait for about 30 seconds, and turn it back on. Manually Close Your App: Exit the app and then double tap the iPhone home button. Look for the Fitdigits app and swipe up. Your app has now been manually closed. Relaunch the app and try pairing again. Change Batteries: Make sure your belt’s battery level is not low. If in doubt, try changing the battery to see if it fixes the problem. 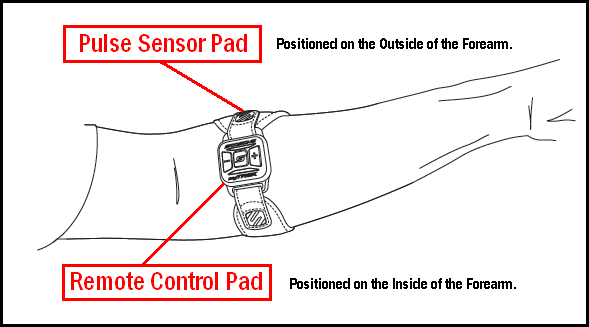 Is Your HRM Paired With Another Device : Make sure no other Device is currently connected and communicating with your BLE heart rate monitor. 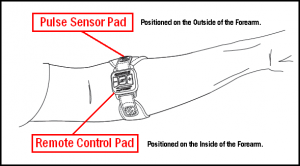 If your heart rate monitor is paired with another device, you may not be able to use the HRM. Close All Other Apps Paired With Your HRM: If there are any other apps on your device that is communicating with your BLE heart rate monitor, terminate them. The HRM may only be able to pair with one fitness app at a time. Power Down Your Device: If none of the above steps resolve your issue, power down your device and then turn it back on. If you still cannot pair with your Bluetooth 4.0 (BLE) HRM, contact Fitdigits Customer Support.